Step up your baby food making game with Beaba Babycook and create Insta-worthy baby meals in minutes! Instructions 1. Put chicken, leeks and rosemary in the steamer basket. 2. Pour water into tank (level 3). 3. Start the cooking process. 4. When the chicken, leeks and rosemary are cooked, put them in the blending bowl, reserving the cooking liquid. 5. Add the olive oil and some of the cooking liquid to bring the purée to the desired consistency and blend. 1. Put the potato, carrot, tomato and onion in the steamer basket. 2. Pour water into the tank (level 3). 4. When the vegetables are cooked, put them in the blending bowl and pulse once. 5. Put the pulsed veggies in a separate bowl to the side. 6. Put the beef in the steamer basket. 7. Pour water into the tank (level 3). 8. Start the cooking process. 9. When the meat is cooked, put the meat and vegetables in the blending bowl. 10. Add some of the cooking liquid to bring the purée to the desired consistency and blend. 1. Put the eggplant and the peppers in the steamer basket. 4. When the eggplant and peppers are cooked, put them in the blending bowl, discarding the cooking liquid. 5. Add the basil and olive oil to the blending bowl and pulse blend until smooth. Recipe Notes As always, please check with your pediatrician before introducing new foods to your baby. 1. Put the chicken, corn and pepper in the steamer basket. 4. When the chicken, corn and pumpkin are cooked, put them in the blending bowl, reserving the cooking liquid. 5. Add some of the cooking liquid to bring the purée to the desired consistency and blend. 1. Put the carrots, parsnip and turkey into the steamer basket. 4. When the carrots, parsnip and turkey are cooked, put them in the blending bowl, reserving the cooking liquid. 1. Put the sweet potatoes in the steamer basket. 4. When the sweet potatoes are cooked, put them in the blending bowl with the rest of the ingredients. 5. Blend until the consistency is smooth. Recipe Notes Create this recipe as an adult or older child appetizer/snack by adding some pita chips! 2. Put the vegetables in the steamer basket. 3. Pour water into the tank (level 2). 4. Start the cooking process. 5. When the vegetables are cooked, remove from the basket. 6. Heat the olive oil in a pan. 7. Add the steamed vegetables with a pinch of oregano and saute for 2 minutes. 8. Unroll the pizza dough and cut into desired shapes: you should be able to make 8 mini pies. Place a small amount of strained tomato, vegetables and shredded cheese on each. Decorate with 1/2 a ball of mozzarella cheese. Add salt and pepper. 9. Bake in the oven for 15 minutes or until cheese is melted and dough is crispy. 2. Put the potato and onion in the steamer basket. 3. Pour water into the tank (level 3). 5. Mix the onions with the cheese. 6. Layer potatoes in the bottom of an oven-safe ramekin and coat them with the onion-cheese mixture. 7. Bake for 15 minutes, or until top is golden brown. 1. Put the apples, dates and raisins in the steamer basket. 2. Pour water into the tank (level 2). 4. When the apples, dates and raisins are cooked put them in the mixing bowl, reserving the cooking liquid. 1. Put the apples, banana and sugar pumpkin in steamer basket. 4. When the apples, banana and sugar pumpkin are cooked, put them in the blending bowl, reserving the cooking liquid. 1. Put the flour, sugar, and butter in the blending bowl. Pulse twice. 2. Add the creme, spices, and eggs and pulse twice more. 3. Transfer the dough to a bowl and cover it with plastic wrap. 4. Let the dough rest for about 3 hours in the refrigerator. 5. Preheat the oven to 350 degrees. 6. Roll the dough out so that it’s 1/8 – 1/4 of an inch thick. 7. Cut the dough with cookie cutters and place the cookies on a silicone baking mat or parchment paper. This entry was posted in baby weaning, Christmas, food, new mum, Parenting, Recipes, Uncategorized, Weaning and tagged Baby food, Beaba, Beaba Baby Cook Solo, beaba babycoo, Christmas, Christmas menu, holiday baby food, recipes for baby, Recipes for weaning on December 21, 2017 by admin. A list of gifting options with free delivery* and gift wrapping! Being in the industry for more than 50 years, Medela is therefore a go-to brand for new mums. Further more raved by for its portability that it easily fits in a tote, it also is super easy to clean! Because its extremely lightweight and uses both adaptor and batteries, its perfect for use at home or on-the-go. You’ll definitely be crossing one off your mummy best friend’s wishlist with the Medela Swing and a big red bow. From stylish to sleek to classy and trendy. Skiphop has a wide range of fashionable totes fit for every woman’s style and all while fitting every essential with her. We love the selection over at Skiphop. 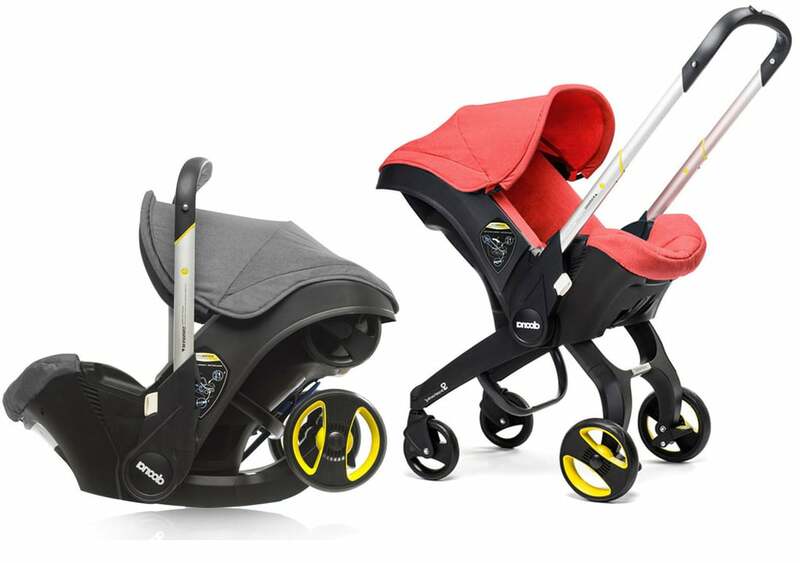 It is just heaven sent that a car seat can also become a stroller in a push of a button and that’s all thanks to Doona! The perfect car seat for newborns up to 15 months old. The much buzzed-about Doona Infant Car Seat and Stroller will make you any mom’s new bff. Nothing better says “You are extremely special” than a limited edition item. One of our bestselling innovations, the Beaba Babycook preps fresh baby food in just minutes! On top of that, it comes in a gorgeously stunning rose gold color. Definitely will compliment any mummy’s kitchen! If you have that one friend who is awesome, fun, really great but a bit indecisive and hard to read, worry not. We’ve got you covered! Why not get her vouchers for our JustKidding Babystore? With the best European baby brands all under one wing like Bugaboo, Stokke, Uppababy and more, she’ll surely find something she would love! Educational and fun and even timeless, the Oribel Activity Center has several educational and sensory toys for baby. Furthermore, it converts into a table for future use! Because it is a gift that will be around for years, it is a surefire gome staple. Always there to remind him as he grows who his coolest and funnest parent/aunt is. Fun and colorful, cheerful and festive, we absolutely adore the seasonal collections from Mud Pie. In comparison to what is in the market, the cozy, comfy Winter selections are extremely stylish and unique. It will truly make any baby the star of any party! This baby bed is both a gift for mum and baby! The Sleepyhead’s tailor-made for baby design makes sure that wherever baby sleeps, he is warm, snug and cozy with its womb like shape and snuggly borders. It also is perfect during bottle feeding to boot! Never has a child run out of energy all throughout the day. Because we always have those fun, active and sporty kids on our list, we definitely recommend the Berg Go-Karts. Because they come in two styles, they are adorably styled perfect for both boys and girls aged 2-5 years! Other than having easy steering control kids would enjoy, dads would definitely love the them because their EVA tires too because they never go flat! Every child loves to bring a few toys around. Be it at school or to a quick grocery run, always. Gift him the power to convince mum to let it all happen. 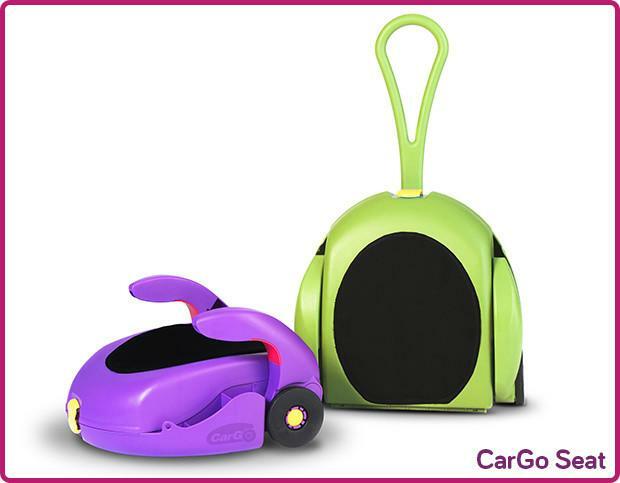 Also a car booster seat, the CarGo is also a pull-along storage bag for toddlers to store snacks, toys and whatever his heart desires. All without mummy’s objections! A play tent that fits up to three, the stylish and modern teepee doubles also as the perfect storage. Therefore, the gorgeous nursery piece is definitely something mum and toddler would be thankful for! Perfect for slumber parties with friends or playtime with mum and dad. The Nobodinoz Teepee is a timeless gift for any toddler and child of any age and any style. All orders from www.justkidding-me.com are eligible for free gift wrapping this holiday season! We also have free delivery to Riyadh, Dubai and Doha for orders above 150! Your festive Christmas shopping is just a click away! This entry was posted in baby, baby shower, breast pump, buggy, car seats, Christmas, Christmas, conscious parenting, diaper bag, gifts, new mum, Parenting, pregnancy, stroller, Toddlers, Travel, travel with baby and tagged activity center, babycook, Beaba, breast pump, Car seat, CarGo, Christmas, christmas gifts, Diaper bags, Doona, dubai christmas, gift idea, go kart, kart, Medela, Mud Pie, Nobodinoz, Oribel, rose gold, SkipHop, Sleepyhead, Stroller, teepee on December 14, 2017 by admin.